Description: Wang Tu-ming's funeral Nth Thailand. Votive oil lamp burns at the head of the coffin with offereings of food and liquor. Mahjong players gambling in the background. 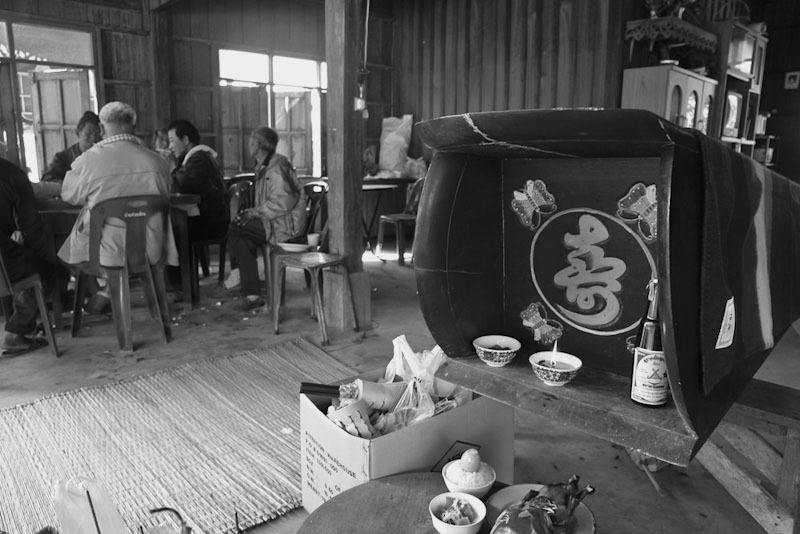 Caption: Votive oil lamp burns at the head of the coffin with offereings of food and liquor. Mahjong players gambling in the background.